The healthcare industry is rife with problems. Registered Nurses receive more than their fair share of trials and obstacles across the industry. Standing out from other job candidates is always a battle – especially in the healthcare industry. Nursing employers deal with a lot of turnaround on a monthly basis. Receiving a bachelor of science in nursing at Gwynedd Mercy University will give you the training necessary to enter the nursing profession, however, while you may have the degree, a well prepared resume, and have practiced your interview skills, this still may not be enough to stand out from the competition. Here are 6 skills that nursing employers are looking for. Politeness, proper enunciation, excellent displays of listening are just a few communication skills that nursing employers look for. These skills are used to determine how easily you can communicate with patients and colleagues. 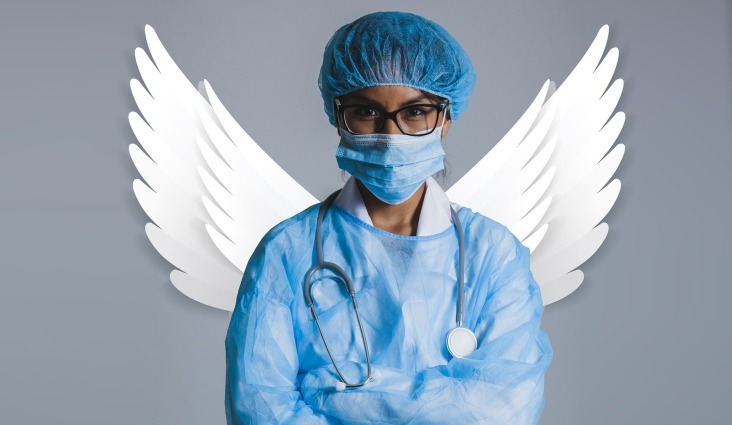 Healthcare employers are more likely than others to ask questions peculiarly, to see how well you are listening to patients – which is crucial to any nursing or healthcare field where people are being cared for. Work ethic is undoubtedly important to many employers. However, the experience you’ve had in aiding patients, solving problems, and going far above what’s “expected” of nurses are all examples of skills that will make you look far more attractive. The healthcare industry is exhausting – prove that you have what it takes by having a work ethic that is reminiscent of Elon Musk (owner and co-founder of billion-dollar companies Tesla Motors, SpaceX and SolarCity). As a healthcare professional, compassion and empathy are skills that employers look for from applicants. This is because patients may be ungrateful, frustrating and a downright hassle to work with. Coworkers and colleagues may push buttons and incite feelings of serious resentment. The level of your helpfulness makes you shine in the eyes of overworked superiors. Remember: kindness, like enthusiasm, is contagious. What technical skills have you had in your training? Always be sure these are prominently displayed on your resume and be sure to provide descriptions and examples of what’s happened. For the interview, be sure to review the coursework to make yourself more prepared to answer any questions. Having the technical skills necessary to the job is what makes the difference between being hired and being looked over by nursing employers, especially when it comes to ANCC Family Nurse Practitioner (ANCC-FNP) Practice Tests. Nobody these days knows all there is to know about technology, no matter how trained you are at using the tech that surrounds you in the industry. Make yourself an appealing addition to the team by increasing your tech-savvy skills so you are more likely to grow. For example, you may already know that Blockchain has made sweeps throughout the healthcare industry. However, do you specifically understand how to utilize the technology? Staying up to date on what’s happening in the industry will make you more of an asset than a liability. Nurses are mentally and physically pushed to the limits every time they work – nobody can argue that. The workload is chaotic, and at any time the shift may present atypical problems that could potentially become tragedies if the situation isn’t handled properly. How you respond to stressful situations matters. Nursing employers look favourably upon nurses who know how to survive the ringer. RNs’ actions vary depending on the incidents that occur; otherwise you may not be hired. Nursing employers, above all, are looking for nurses that possess the skills to analyze, review and judge situations accordingly. What you’ve just read is the tip of the iceberg, and you’re highly encouraged to learn about offering mental support to patients.